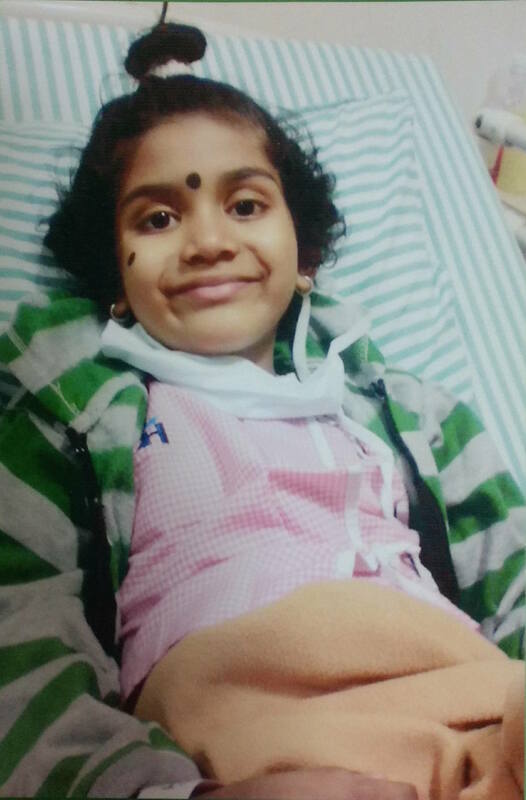 Hemashree is a beautiful 5 year old girl, with the most contagious smile, the younger child amongst the two siblings. Hemashree was born into a family where her father held her mother, Asha, responsible for having no sons and in the bargain filed for divorced, leaving the mother with her two gorgeous girls completely on their own. He was ready to accept his wife only under one condition - she would have to leave her children in an orphanage. 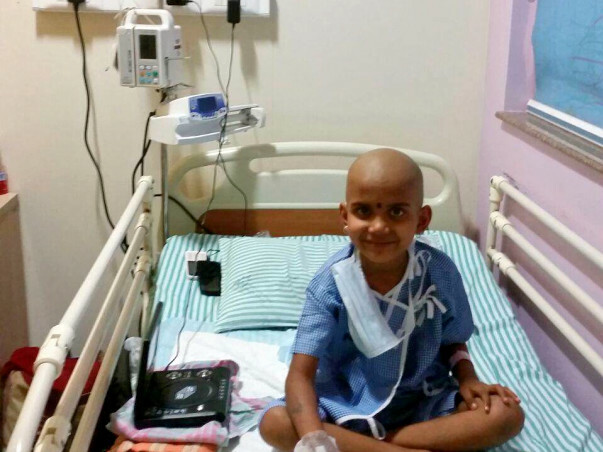 Hemashree was diagnosed with Blood Cancer at the St.John's hospital in 2014 at the age of 3. Hemashree’s uncle (Asha’s brother) helped the family financially and supported them with everything. As the bills kept building up at the hospital, she was admitted to the Kidwai Memorial Institute of Oncology. There, with great support from the staff and the doctor, Hemashree completely recovered and went back to her normal life. But sadly it didn’t end there. After a few months, the fevers resurfaced, and Hemashree was growing weaker day by day. 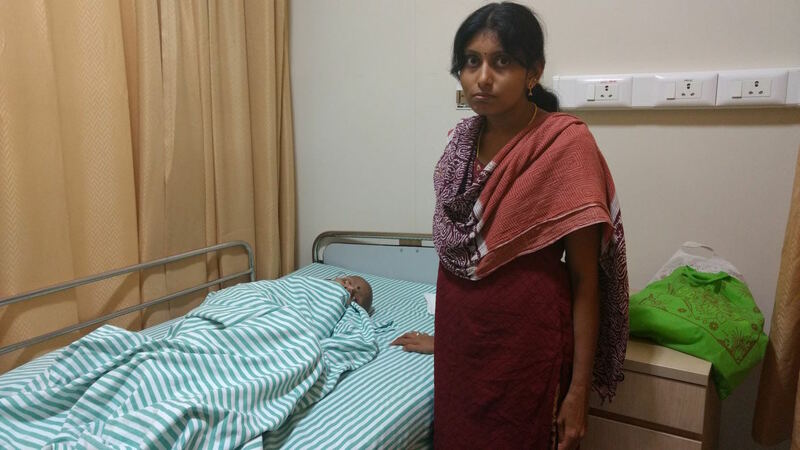 Hemashree was then shifted to Mazumdar Shaw Cancer Centre for further treatment. 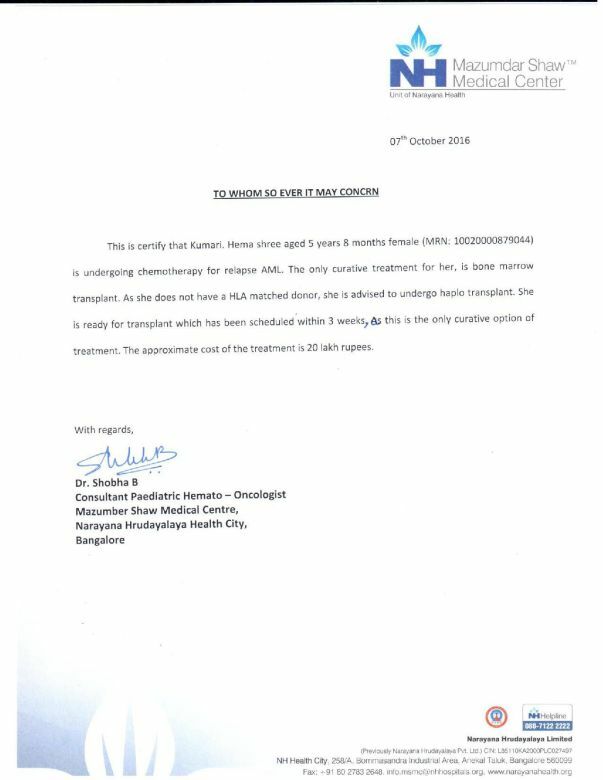 Given her present condition, her doctor, Dr.Sunil Bhat, suggested she undergo a Bone Marrow Transplant at the earliest. With everything falling apart for Asha and her little family, to her further despair, Asha's mother has become a heart patient. Asha’s brother who is married and also a father, is now unable to support Hema’s treatment as there are 6 dependents on him which includes supporting Hema’s elder sibling’s education too. Asha has no source of income as she cannot go to work leaving her ailing child alone at the hospital. She is struggling to pay the bills off at the hospital after having spent about 5 lakhs alone for her treatment, the family has no other means of income to carry out any further treatment for Hemashree. Asha continues to bring up both her daughters through immense difficulties and challenges in her life with Faith and Hope. 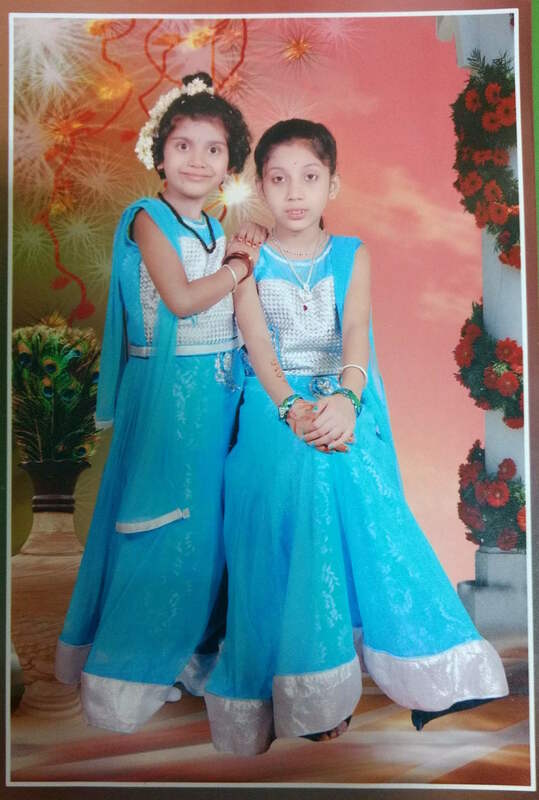 Nevertheless, both Asha and her youngest, Hemashree are stronger than ever, fighting Cancer with what they have - each other and Faith. On the Doctors recommendation, the only way to save Hemashree is by a Bone Marrow Transplant. It would cost around Rs.20 lakhs and since they cannot afford it, Asha is relying strongly on people’s good will, donations and most importantly- Prayers. Can you imagine something like this happening to your very own? I know I can’t and I refuse to digest that as a thought as well, so please do join your hands with us in helping Hemashree have a new life. JOIN US AND HELP SAVE A LIFE.